We are proud to congratulate Denis Verdier, Manager, Terminal Planning, for his recognition as Airport Business Top 40 Under 40! 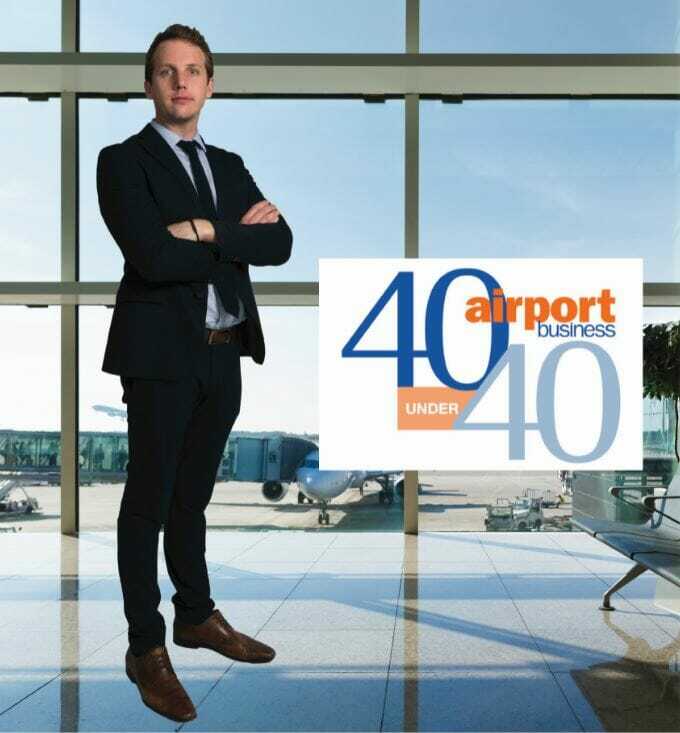 The Airport Business Top 40 Under 40 showcases the aviation industry’s top and leading talent. The candidates were chosen based on commitment, dedication, innovation and involvement in the industry. The winners were selected by a panel of judges in conjunction with the Airport Consultants Council to honor their accomplishments. Denis is currently working as the Senior Project Manager – Airside/Terminals for the JFK Redevelopment Program Management team, recently formed by the Port Authority of New York & New Jersey. He is actively involved in the implementation of this multi-billion dollar program, which will achieve the New York State Governor’s Vision to transform JFK into a World Class Facility for the 21st Century. He also leads technical and research efforts involved in our planning department. For the past six years, Denis has been particularly involved in comprehensive airside and terminal redevelopment projects at Port Authority of New York & New Jersey’s airports, including the Central Terminal Area Redevelopment Program at John F. Kennedy International Airport. Among his achievements, a most recent example is that he served as the principal investigator of the ACRP Synthesis S03-15: “How Airports Plan for Changing Aircraft Capacity: The Effects of Upgauging”. On behalf of the DY Consultants, we are extremely proud of Denis Verdier for his accomplishments. His dedication, hard work, and passion will continue to make a positive impact today and in the future of aviation.